AADHARSHILA LOK KALYAN SAMITI is located in DELHI Delhi . AADHARSHILA LOK KALYAN SAMITI is registered as a Society at DELHI of state Delhi with Ngo unique registration ID 'DL/2014/0074844' . 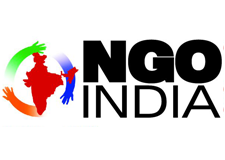 The NGO registration is done by Registrar of Societies with registration number S/1285/NE/2013 on the date of 09-10-2013, Its parent ORganaisation is PaulFoundation. The Chairman of AADHARSHILA LOK KALYAN SAMITI is MOHIT CHAUHAN and Chief functionary officer is MOHIT CHAUHAN. This NGO was setup with a mission and purpose to serve mankind, providing help and education for the needy the weaker section of the society. During the course of our short journey, we have faced various difficulties, but despite of such difficulties, we can happily say that we are successful in achieving little objectives and such achievements are motivating us to put more efforts in eradicating the financial gap created in the society which affects the growth of the weaker and poor section of society. We are successful in proving the following:- 1. Free Computer education to the poor children (below poverty line). 2. We have also successful in empowering the women and making them self dependent with the way of providing stitching facilities and financial support in buying machine for themselves. 3. We are also providing free tuition classes to those students who are not financial capable. 4. We have also organised Drawing and Writing Competition in Government School and have also received appreciation letter from Principal Mam of that school. 5. We have also distributed free books and stationery items to the poor children (below poverty line).